We had another Inchoo Learning Day in Baranja on Friday, May 26. It is a day when all of us Inchooers collectively leave our offices and enjoy the beauties of Slavonia and Baranja, and combine learning with team building activities. This was the 9th Inchoo Learning Day (ILD) in a row. This time; Zlatna Greda, an eco center about 30 km from Osijek, in the middle of forest. Zlatna Greda is an organized concept that provides a practical experience of coexistence with nature as a place to learn, but also as a place to have fun; you can visit the adrenaline park, take a walk, or see the animals. It’s like a house in nature which functions through practical examples of sustainable growth, such as the renewable energy sources, waste separation, social entrepreneurship and responsible business conduct. Most of the visitors on inchoo.net web page are from India, USA and UK. Damir’s article from 2013 is the most read one, with more than 57 000 visits a year (“Overriding Magento blocks, models, helpers and controllers”). Users who visit inchoo.hr web page are mostly those interested in becoming employees of Inchoo. 18.8% of visitors on inchoo.net are women, while there are 40% of them on inchoo.hr. The most clicked posts on Facebook are those on transferring to our new office (there were more than 81 000 clicks on the pictures), then the gallery from Meet Magento Croatia and the post on a job position as a Project Manager. News from our Sales department: Aron presented a new campaign on which they’re working on, and the processes they did so far that achieved good business results. He also talked about 130 inquiries we get monthly and assured us that none of them stay unanswered. The designers, developers and consultants have presented the most interesting projects they have worked on so far. They told us about how they technically implemented certain features, extensions they used, new things they have learned, what they custom typed and what results they achieved. They also told us where they struggled and where they had fun while working on the projects. 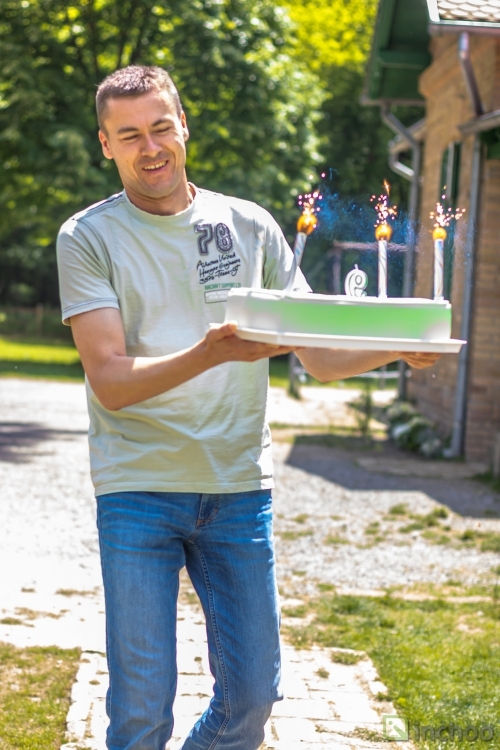 After the working part of this event and a delicious barbecue, we also had a cake to celebrate Inchoo’s 9th birthday! We blew the candles and wished for many more successful years! 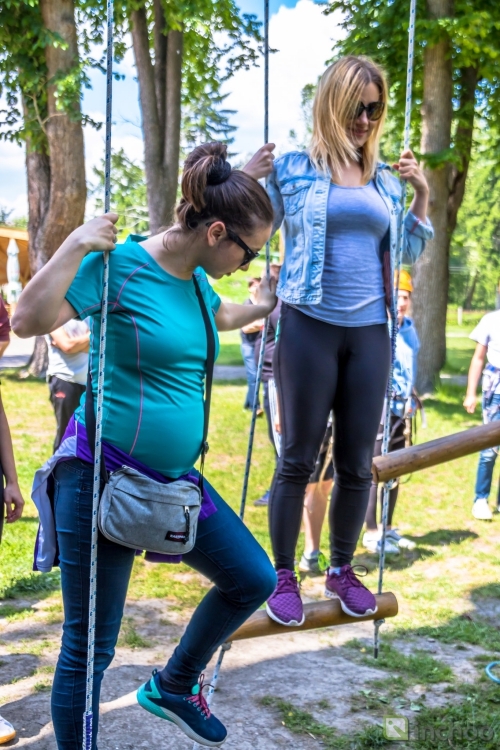 Besides all this, Zlatna Greda offers numerous sports activities: rowing in canoes or wooden boats, adrenaline park, artificial wall climbing, bicycle riding, archery, rope pulling, horseshoe throwing and many other activities. We chose climbing in the adrenaline park and riding bicycles through Baranja. The park consists of a basic and a higher level and the zipline. We had so much fun while climbing! Some of us even managed to “break” the adrenaline park, but nobody fell down since we were all tied together. The experience is amazing and if you haven’t already, you should definitely visit Zlatna Greda. In the end, we had a farewell with our eCommerce consultant Tea, who is taking maternity leave. We wished her to have as few sleepless nights as possible with the twins she’s expecting. It is hard to put all this experience into words, so check out all the pictures on our Facebook page! Zrinka is an Event Manager at Inchoo. Other than love for events, she has love for running, reading and dancing.